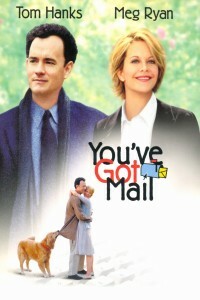 The Warner Brothers motion picture You’ve Got Mail, starring Tom Hanks and Meg Ryan, is released to theaters. While mostly known as a romantic comedy, the film was chock-full of technology symbolism. Primarily I find interesting that the movie’s themes of business and technology was foreshadowing larger charges to come. Starting with the obvious, the film’s title was the popular notification sound used by AOL for incoming e-mail. This showed just how quickly the Internet had become mainstream with e-mail and on-line dating starting to gain traction in the general population. At the time, AOL was the face of the Internet to those just getting their feet wet. However, it also foreshadowed one of the biggest technology deals in history. Just a little over a year later AOL would buy Warner Brothers’ parent company Time Warner, forming one of the largest media companies in history. However, the dot-com bubble burst and the merged companies never quite meshed. AOL was eventually spun-off in 2009, having lost its status in a more tech-evolved society. Additionally, the main characters’ choice of technology was telling. Tom Hank’s character, the corporate businessman, used a Windows-based PC (an IBM no less) while Meg Ryan’s character, the small book shop owner, used a Macintosh Powerbook. The common thinking at the time was that Windows PCs were for business and Macintosh computers were for “creative” people. Of course, this was just a few years before the iPod was introduced and Apple re-revolutionized the technology industry in the 2000’s. Apple is now the consumer face of technology, whereas Windows is considered old technology even among business professionals. The book industry was highlighted, with the movie’s subplot exploring the struggle of small businesses against the expansion of large corporate chains. Yet in the span of about a decade after the movie was released, large corporate bookstores were on the defensive against upstart companies doing business on the Internet. For context, in 1998 after 3 years in business, Amazon.com had yet to turn a profit, yet today Borders is out of business. The rise of social media now gives small companies the ability to effectively market themselves directly to their customer base, giving them a way to compete with large corporations. All this in a relatively short time after a movie helped publicize a computer network.